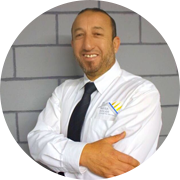 Khaled ElkadashCEOKhaled Elkadash is a civil engineer with over twenty years of experience in Project Management system processes and procedures. 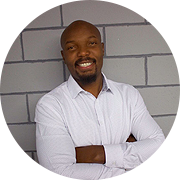 He holds a masters degree in engineering with a focus on environmental science and is equipped with over ten years of professional experience in the oil and gas industries. 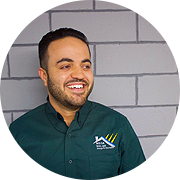 Khaled is passionate about participating in decreasing the green gas emission in the atmosphere and protecting our planet. In his free time he enjoys the outdoors and spending quality time with his kids, particularly camping at lakes, eating healthy food and escaping modern life to relax. 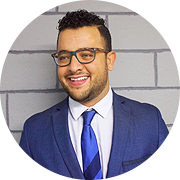 Moe LebdehDIRECTOR, SALES & MARKETINGMoe is Mega Solars Director of Sales and marketing. He is primarily responsible for reaching as many residential consumers as possible to educate them on solar energy and its benefits and provide cost effective solutions. His goal within Mega Solar is to create an environment where solar seekers can effortlessly choose their pathway without feeling the pressure of in home sales. He enjoys inspiring the belief in solar technology and its importance to our planet. In his free time Moe enjoys cooking, playing piano and riding motorcycles on the beach. 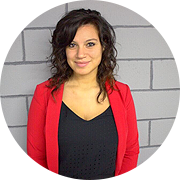 Diyala ShannakDIRECTOR, HUMAN RESOURCESDiyala is equipped with several years of experience in Human Resources with firms who aim to making the world a better place, like Mega Solar. Her dream is to be a part of creating a better, cleaner and safer environment for everyone and she brings that passion to Mega Solar in finding team members who share that passion. In her free time Diyala enjoys spending time with her son, dancing and going to the gym. Sami AbualsoudDIRECTOR, BUSINESS DEVELOPMENTSami, Director of Business Development, is responsible for the development, coordination and implementation of plans designed to increase existing business as well as consistently seeking out new business opportunities. In his free time Sami enjoys traveling and meeting new faces. Ahmed AbulebdehOPERATIONS MANAGERAhmed, Operations Manager, oversees day-to-day operational activities within the organization. He brings 10 years of field experience and back office support for all teams. He is very passionate about providing clients with alternate and viable means of generating clean energy. Ahmed enjoys outdoor activities, going to the beach, travelling and spending his free time with family. Kenny AjugwoPROGRAM MANAGERKenny Ajugo, Project Manager of Mega Solar is responsible for prompt and accurate execution of all projects, coordination between property owners, financing partners, and the engineering team. Kenny guides clients through every stage of the solar installation process. 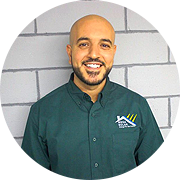 His favorite thing about working in the solar industry is the awesome feeling of knowing that he is contributing to the universal movement of sustaining our planet. In his free time, he enjoys playing sports, travelling and photography.